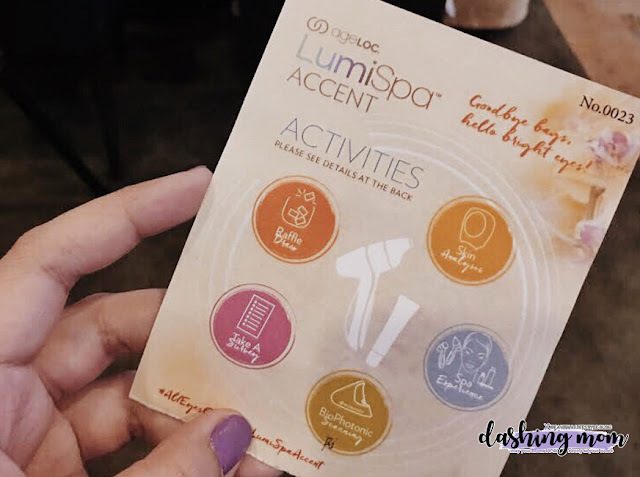 Nu Skin Philippines invites some of the beauty enthusiast and media to discover a new exclusive movement technology for treating our eyes problem. The Nu Skin's ageLOC LumiSpa Accent paired with ageLOC LumiSpa IdealEyes is a rejuvenation treatment that gently massages away the signs of stress and a busy lifestyle while reducing the appearance of puffiness, under-eye bags, and dark circles. 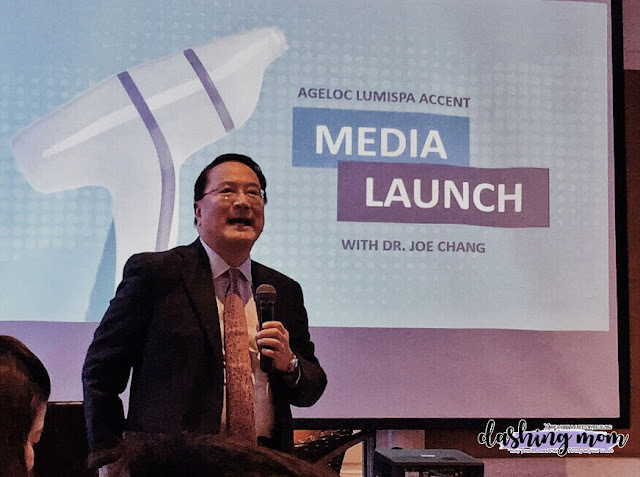 ageLOC LumiSpa official launched here in the Philippines last March 12, 2019. 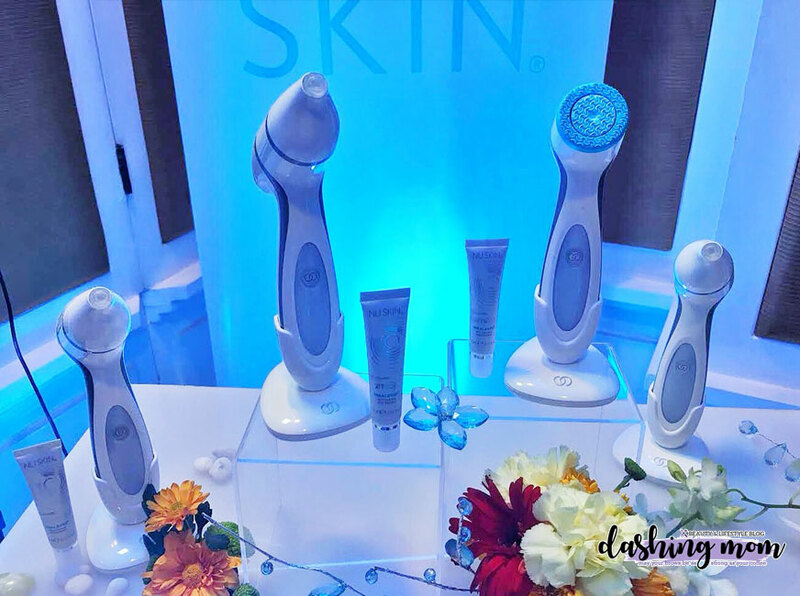 Nu Skin is known for its top-notch devices that promote overall health examination and transforming one's self. We are given a beauty pass where we could experience some of the products from their line. Bio Photonic Scanning where I was able to find out which supplements are there to help fortify my immune system. 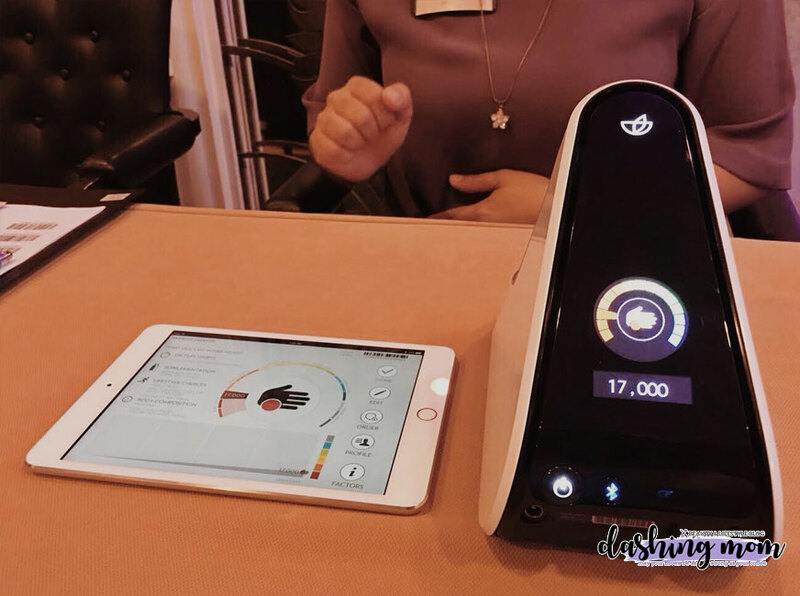 Facial Analysis Device where I was able to discover that I have a dry skin type. Before I thought I was oily. Now I know that I need to work on my face moisturization. It is my great honor to listen to Dr. Joseph Chang, Chief Scientific Officer of Nu Skin. Where he shares how they intensively develop each product they produce. They perform scientific studies, test each product to themselves and their target people before going into the market. this targeted treatment. It’s never too early to start caring for this area and keep your eyes looking glowing and healthy.” said Dr. Joseph Chang, Chief Scientific Officer. attachment head specifically designed to fit on the ageLOC LumiSpa handheld device. studies, to promote skin renewal for a healthy and refreshed appearance. softest silicone available and is embedded with anti-microbial silver. A peptide complex help visibly firm and tone skin. Tetrahexyldecyl Ascorbate (a form of vitamin C) to help protect against free radical damage and brighten the eye area. Plankton extract help decrease the appearance of pigmentation in the undereye area and tone the eye area. Squalene help prevents moisture loss and restores skin’s flexibility. An antioxidant complex to protect skin against daily environmental stress. The ageLOC® LumiSpa Accent Launch kit includes the ageLOC LumiSpa device with Normal Surface Head, ageLOC LumiSpa Cleanser, ageLOC LumiSpa Accent with silicone head, ageLOC LumiSpa IdealEyes, and a quick start guide. It will be available on 13 March 2019 with a retail price of PHP 20,000. Yes I know that your brows go up ones you saw the price but in my opinion, if the device truly shows results it is the best catch.